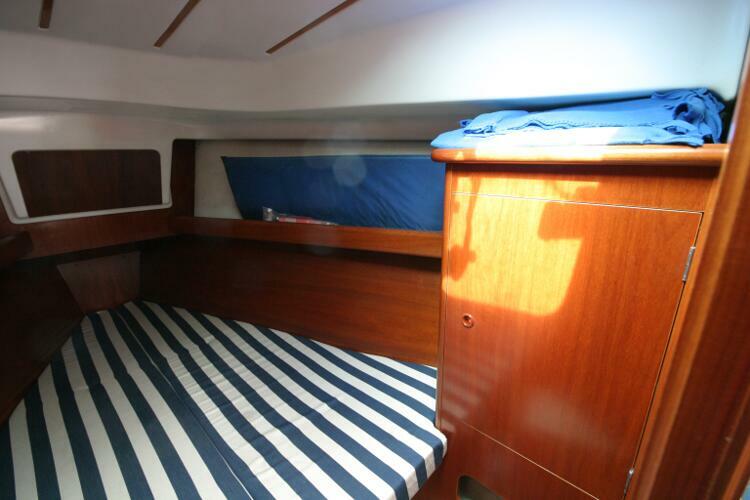 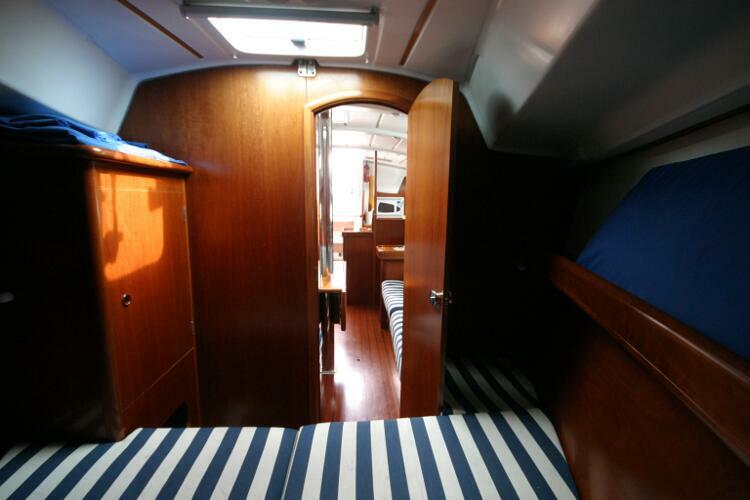 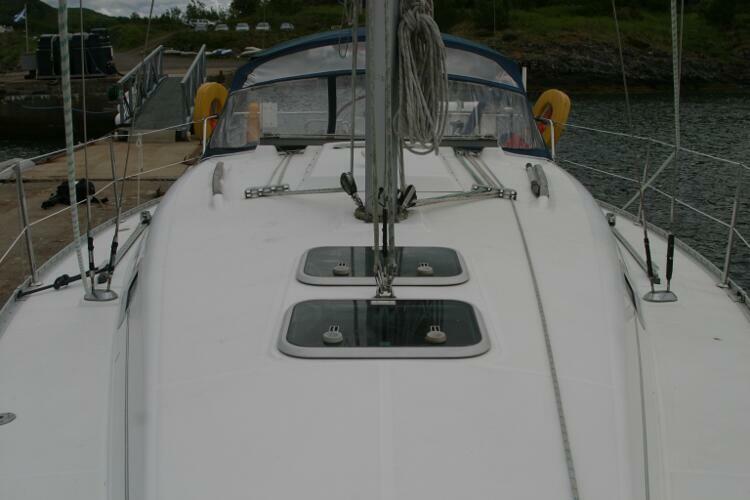 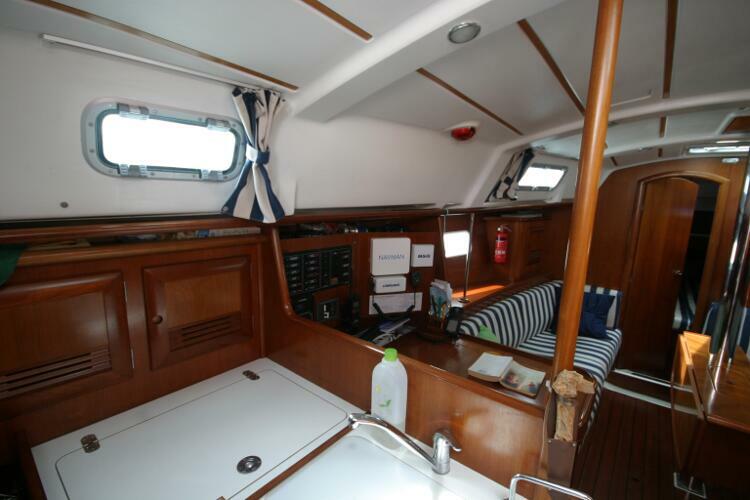 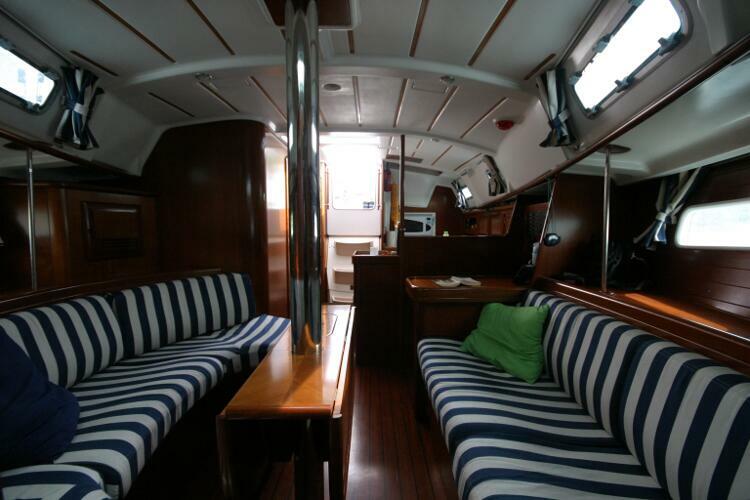 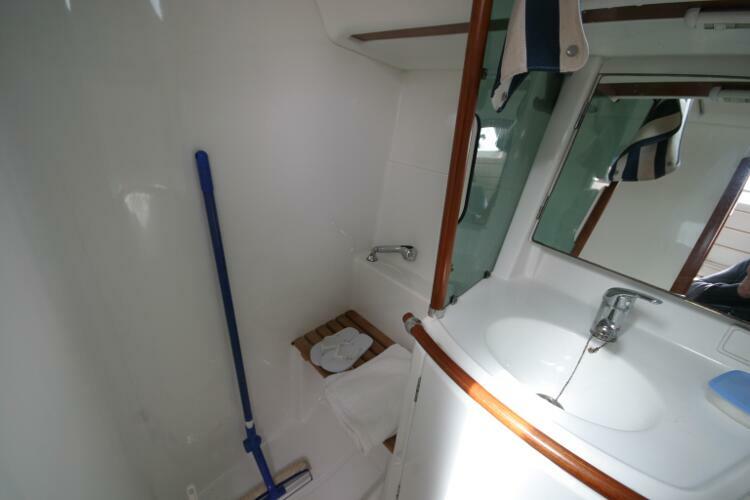 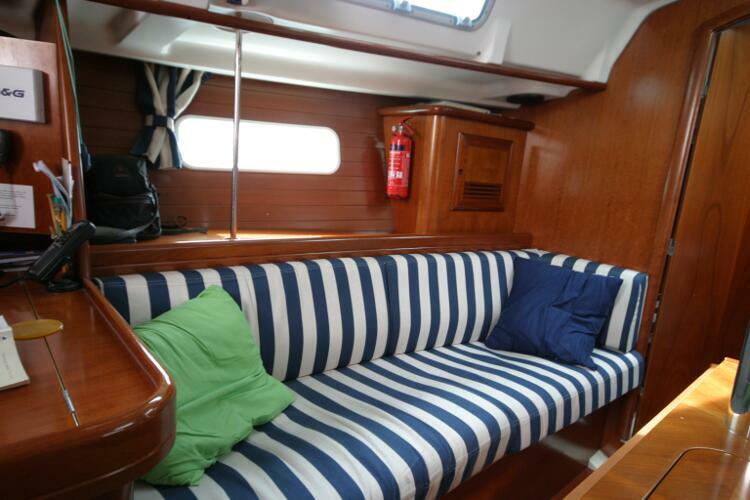 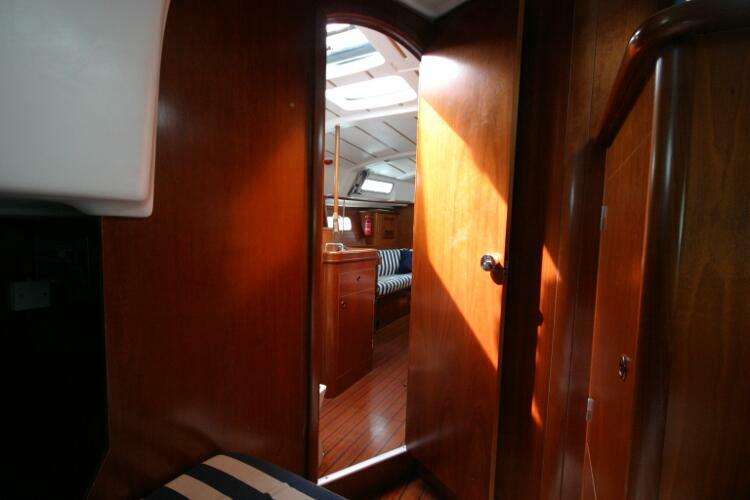 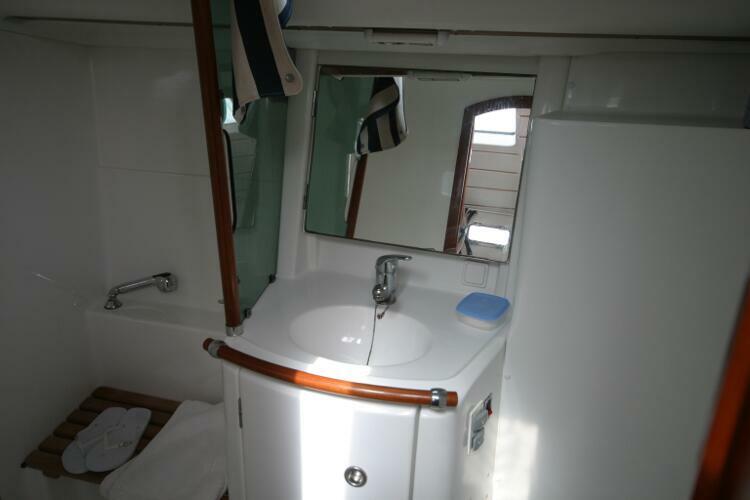 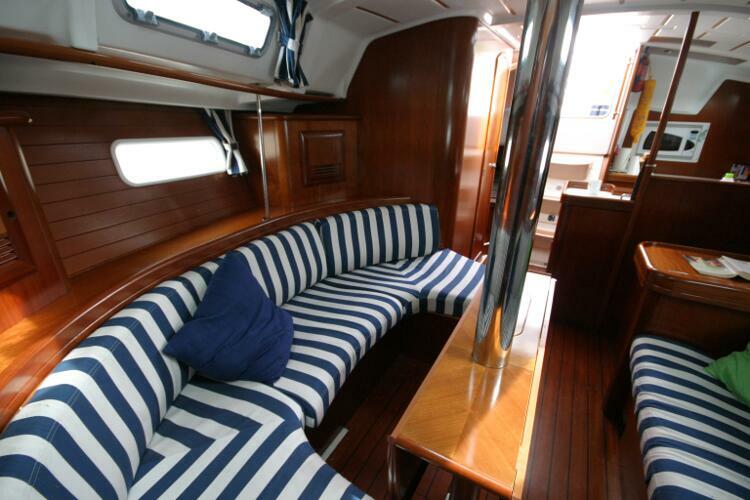 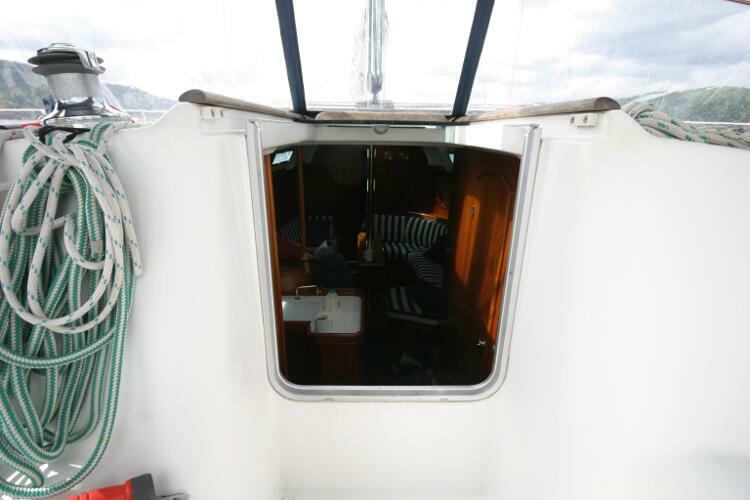 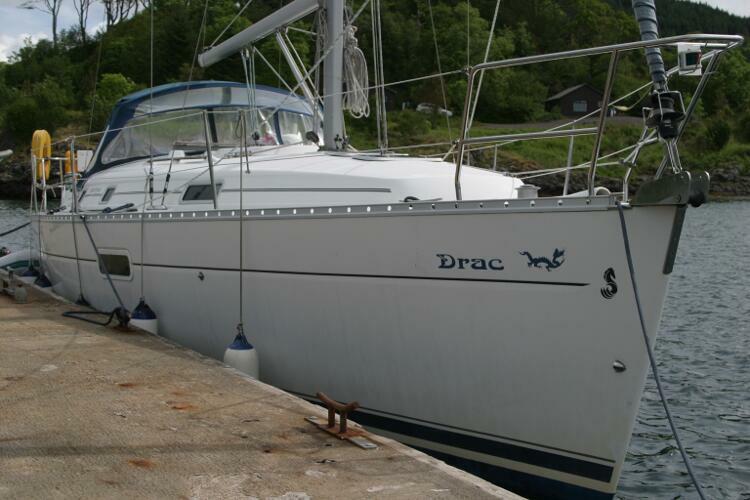 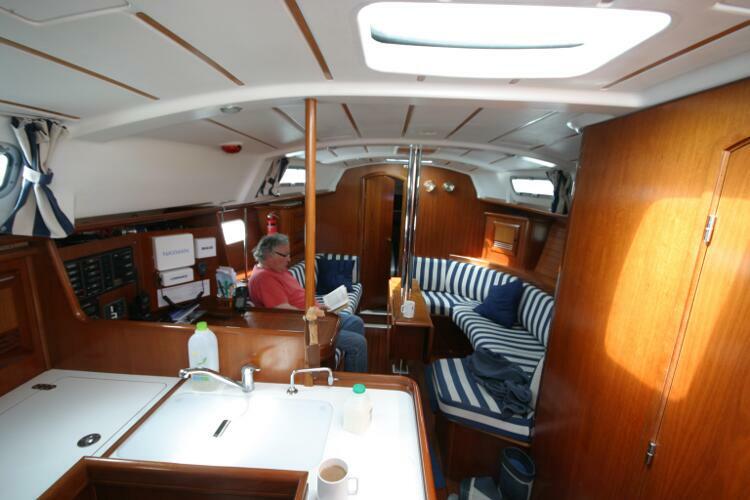 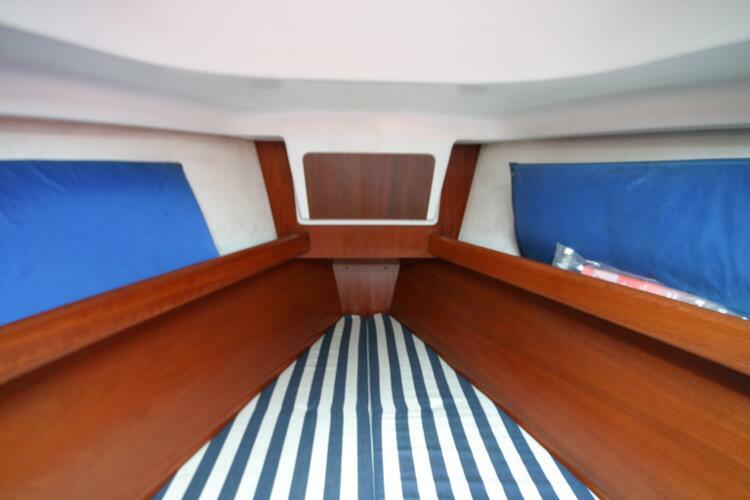 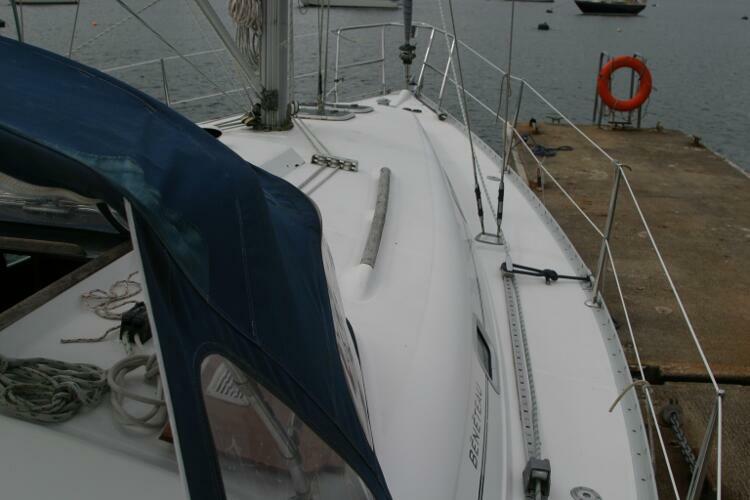 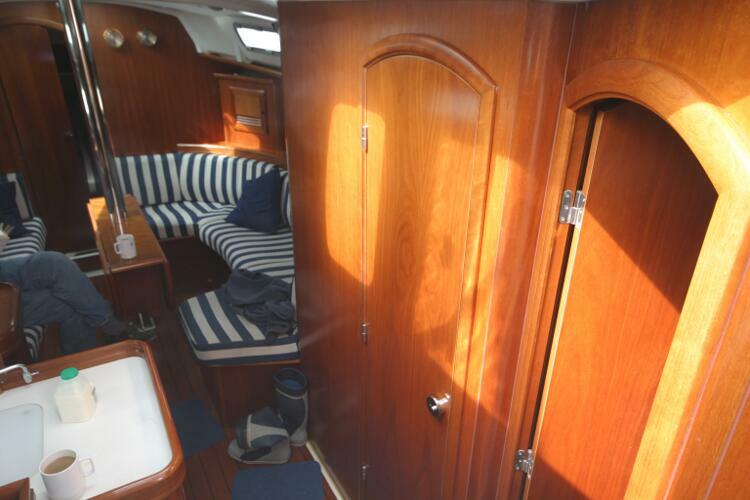 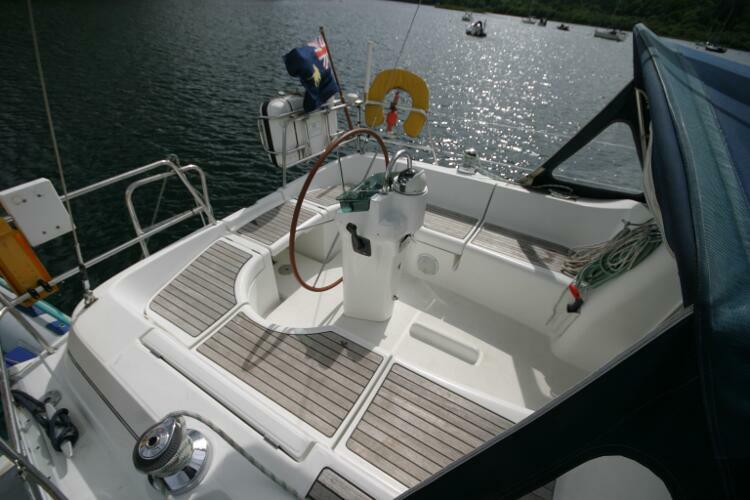 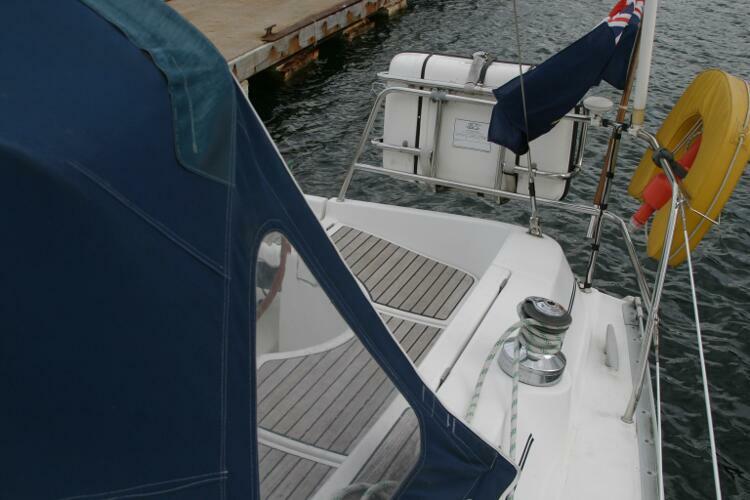 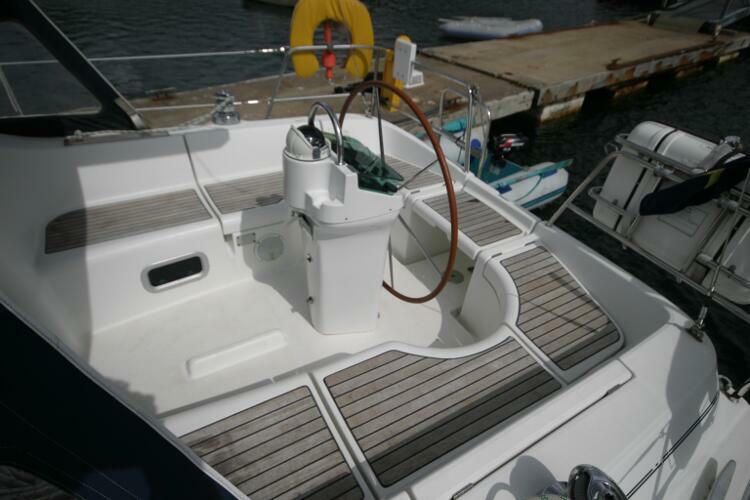 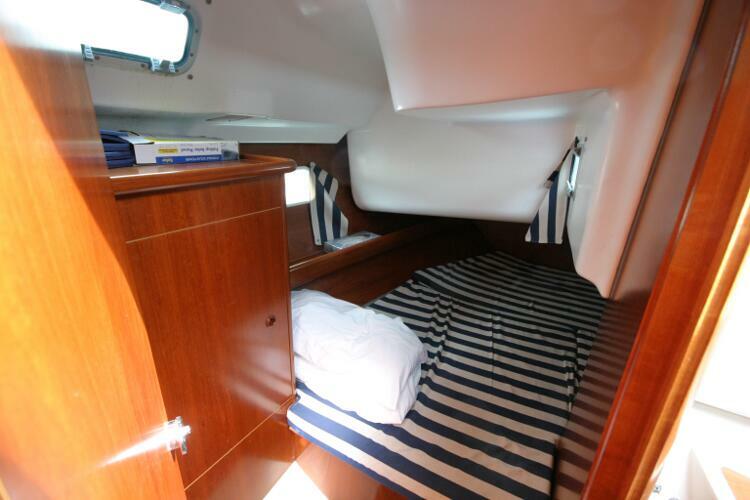 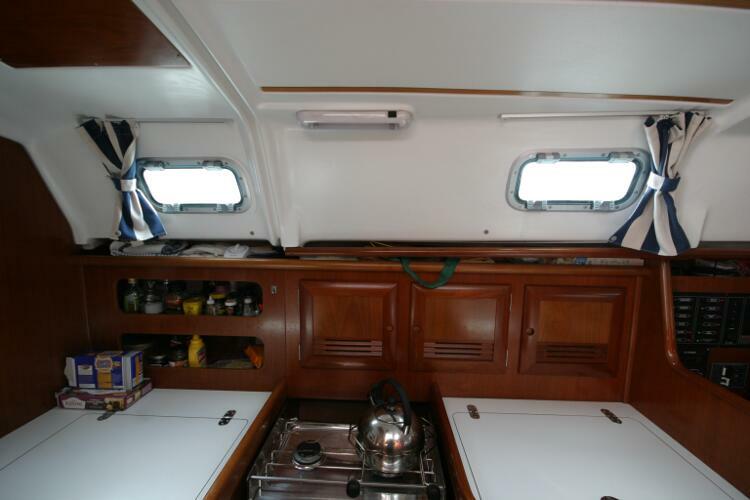 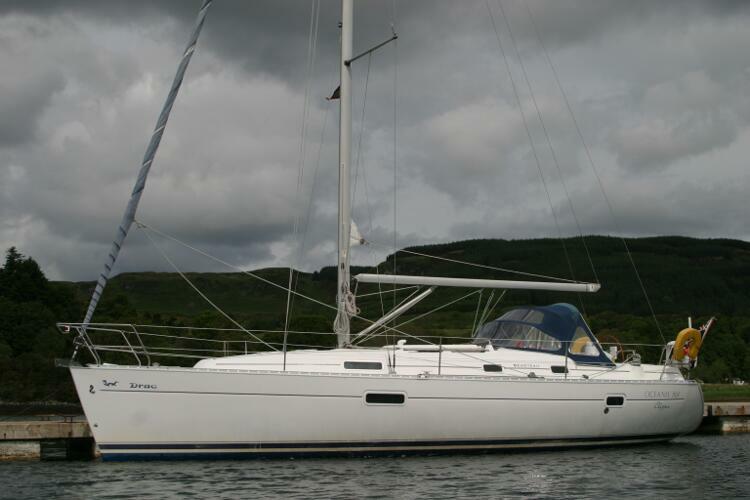 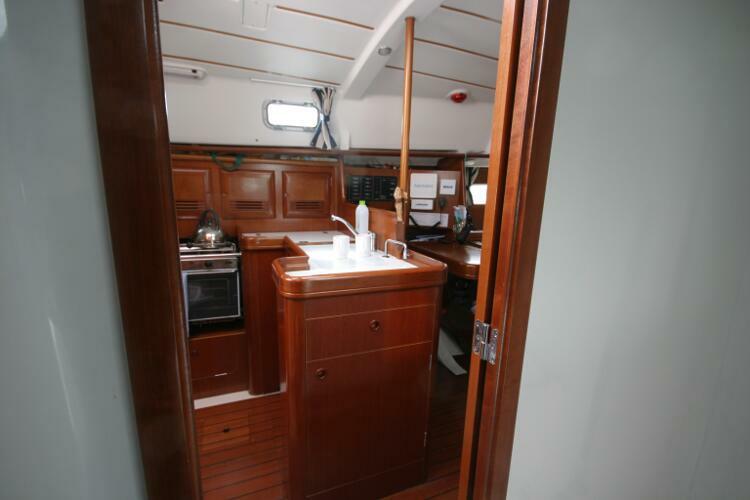 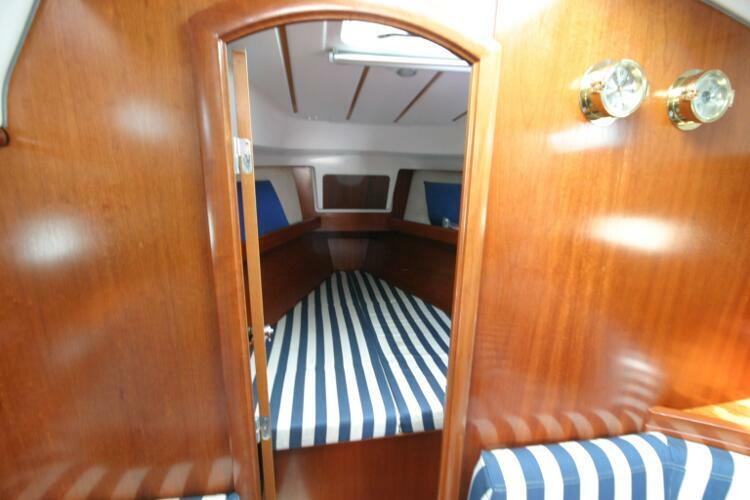 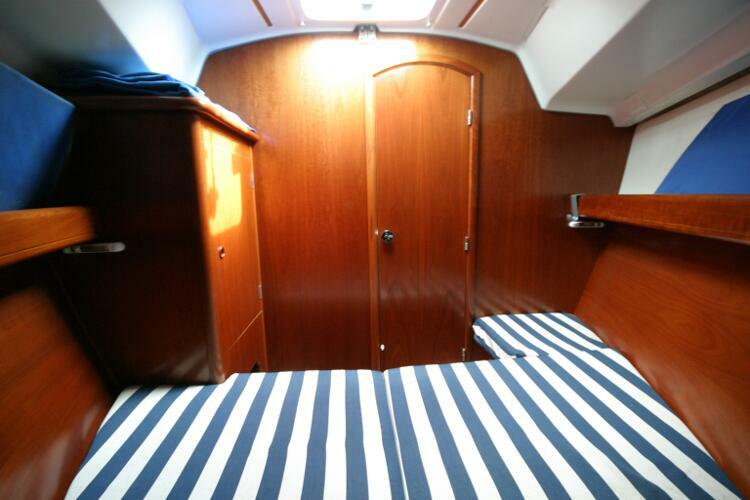 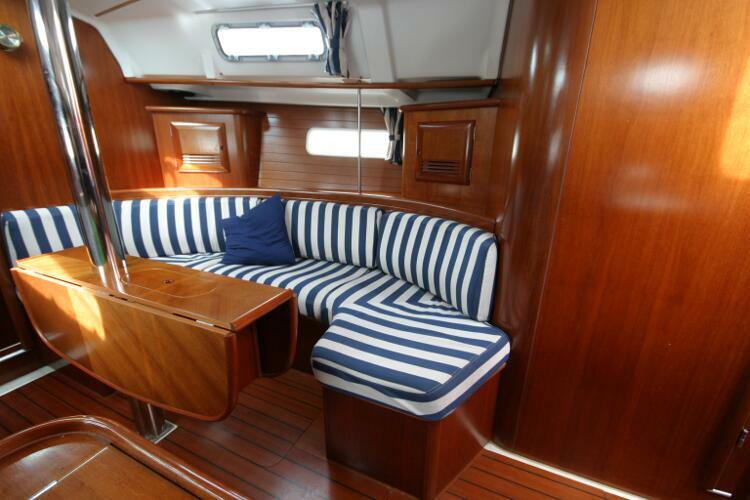 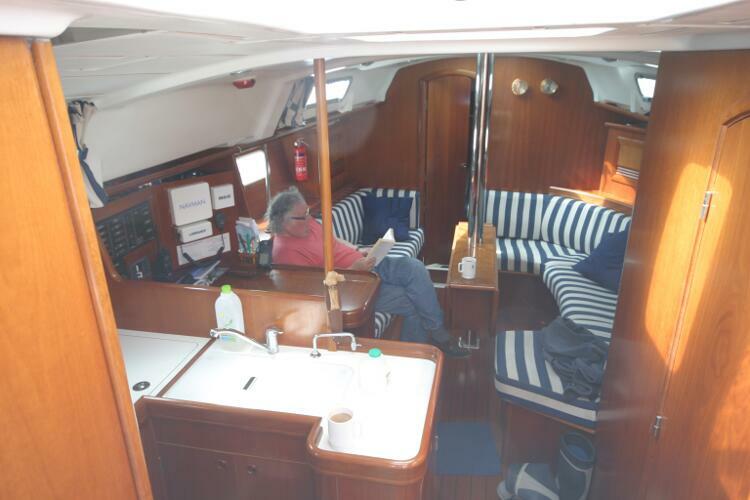 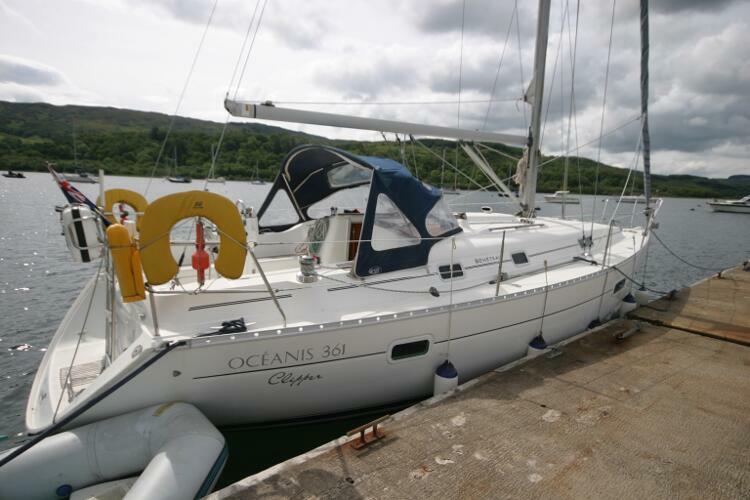 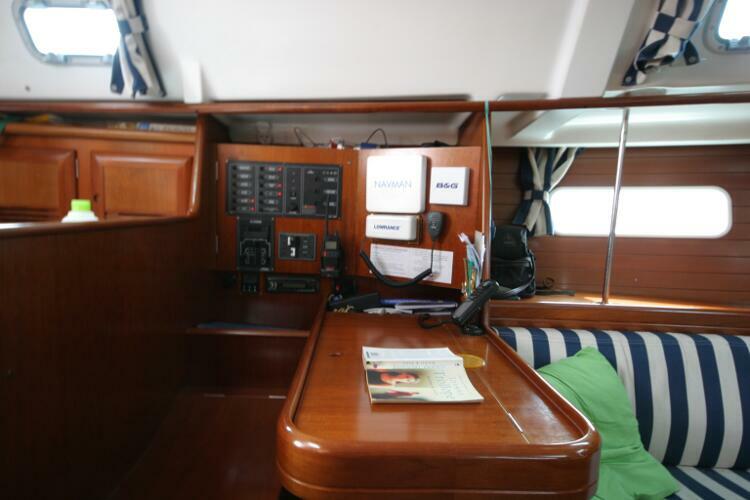 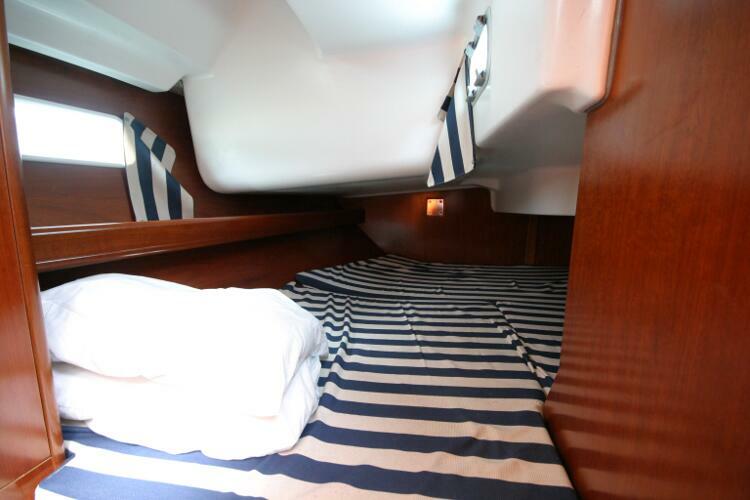 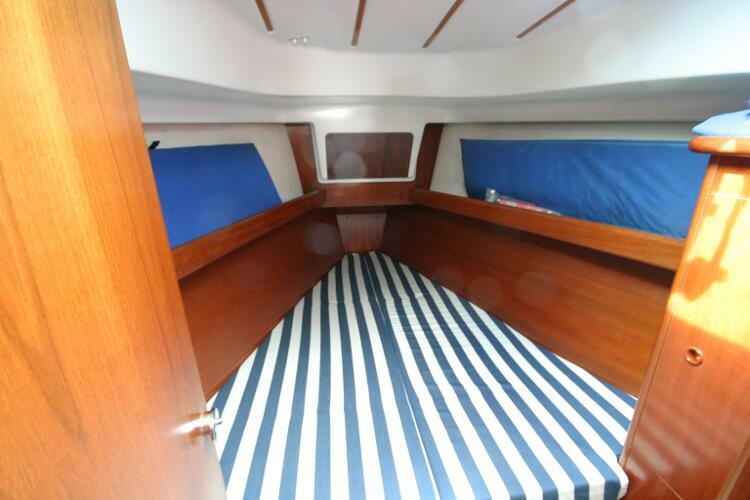 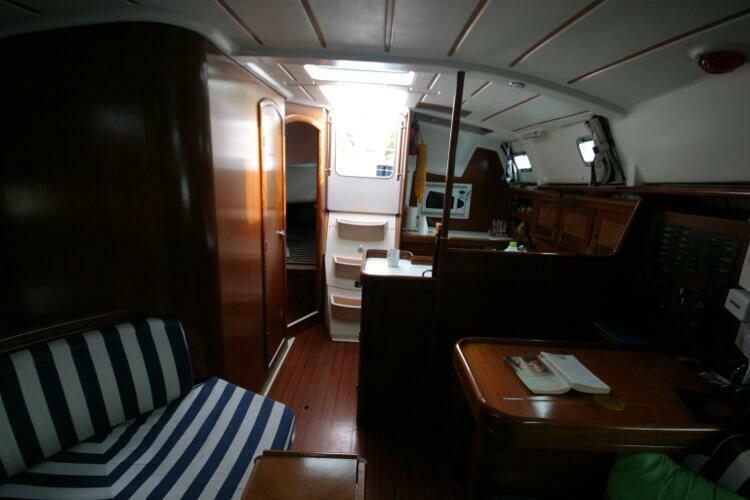 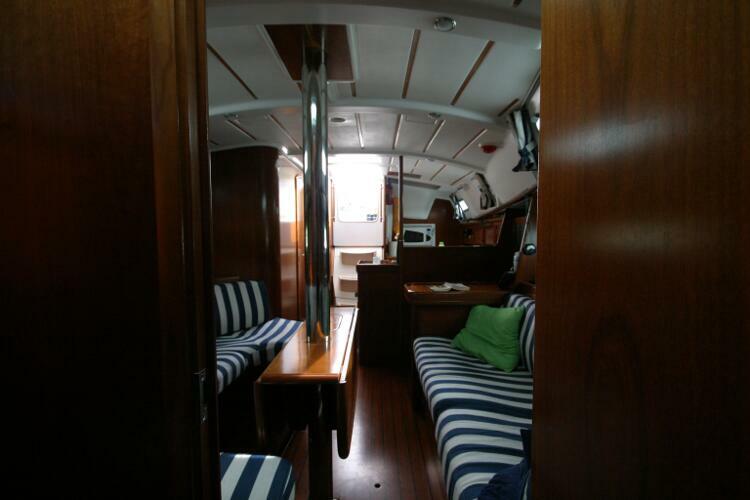 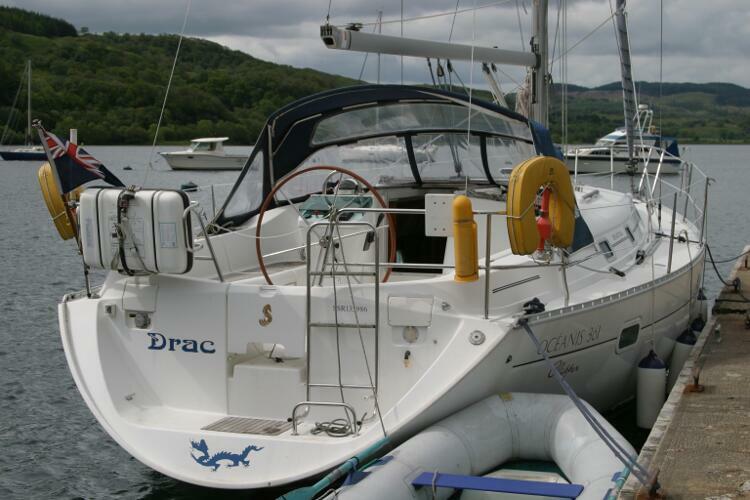 A good example of the Oceanis 361 Clipper, designed by Jean Berret and Olivier Racoupeau, making a seaworthy, spacious, comfortable family cruiser.This one is the 4 berth layout with useful workshop area, ideal for live-aboards with long distance cruising in mind, or equally good for family weekends. 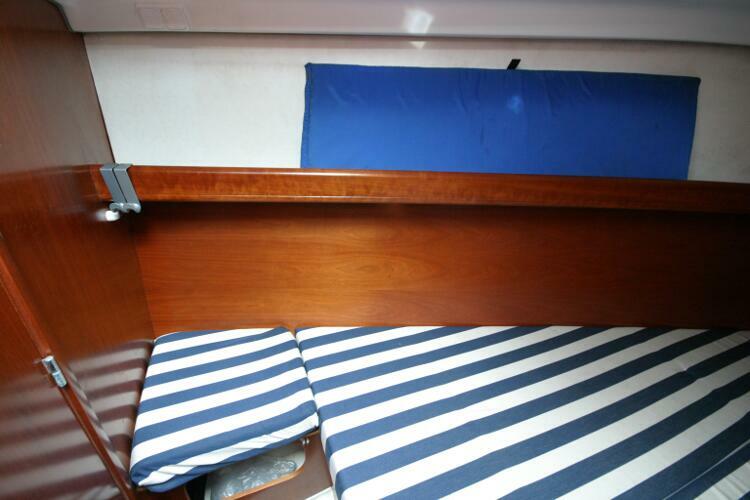 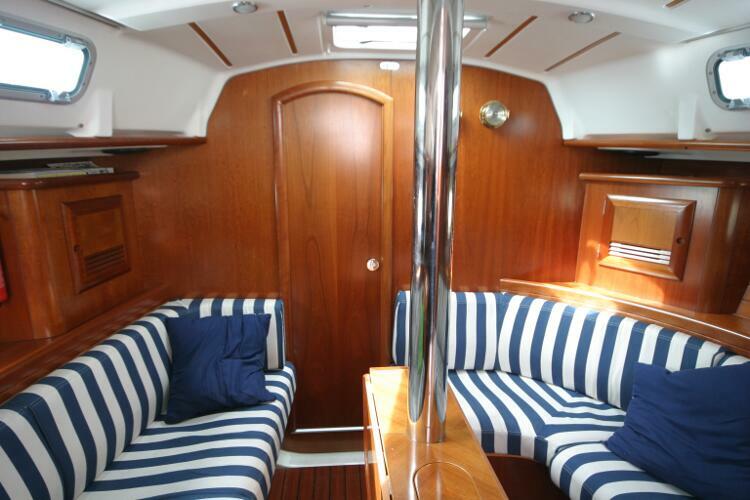 Spacious double V berth in forward cabin, comfortable double berth in aft cabin, occasional extra berths on saloon sofas. 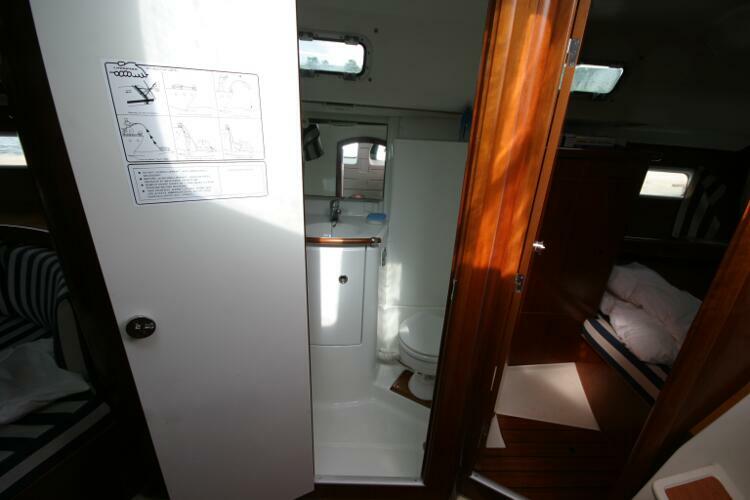 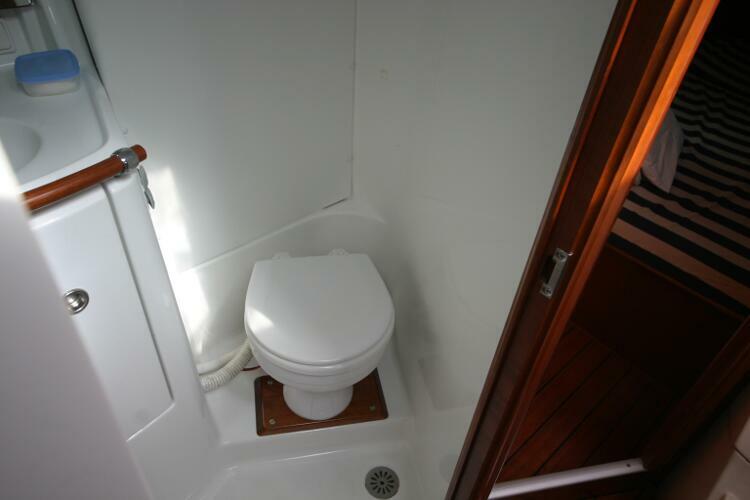 Very roomy bathroom with heads, wash basin/vanity set and walk in shower. 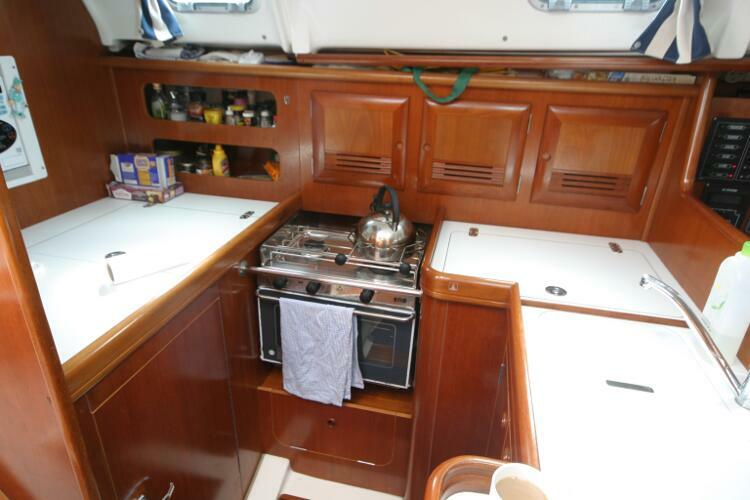 Stove with two burners and oven. 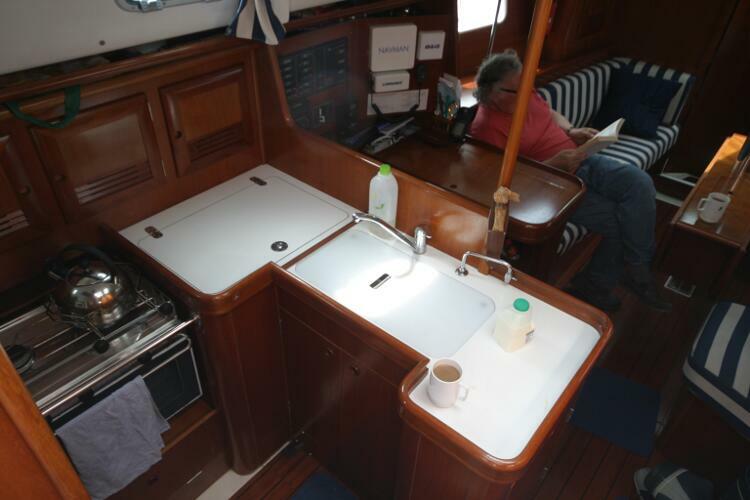 1 and 1/2 stainless sink. 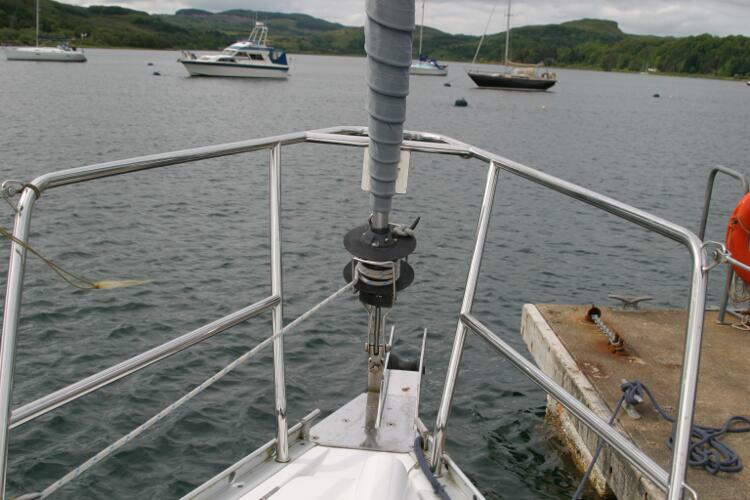 Pressurised water system. 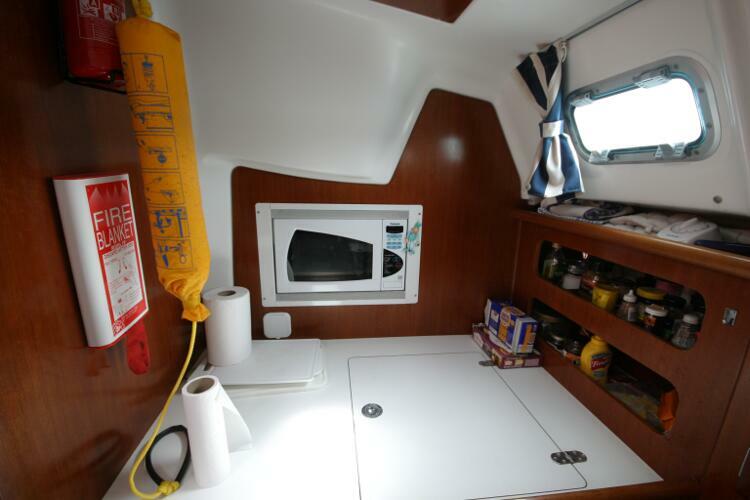 Fridge. 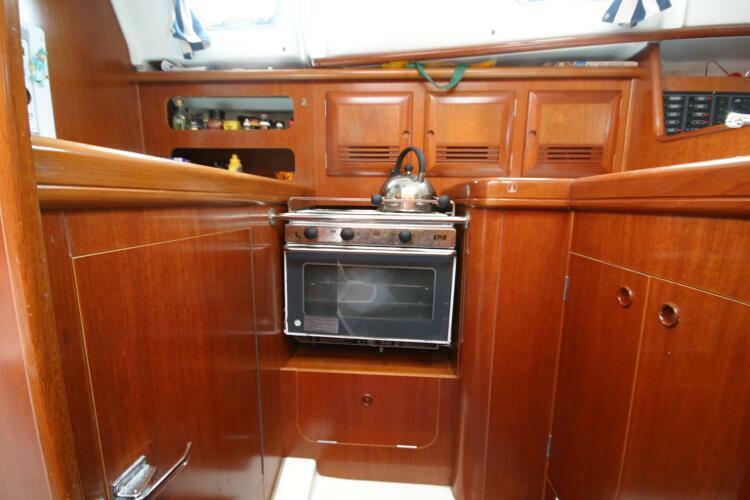 Microwave oven. 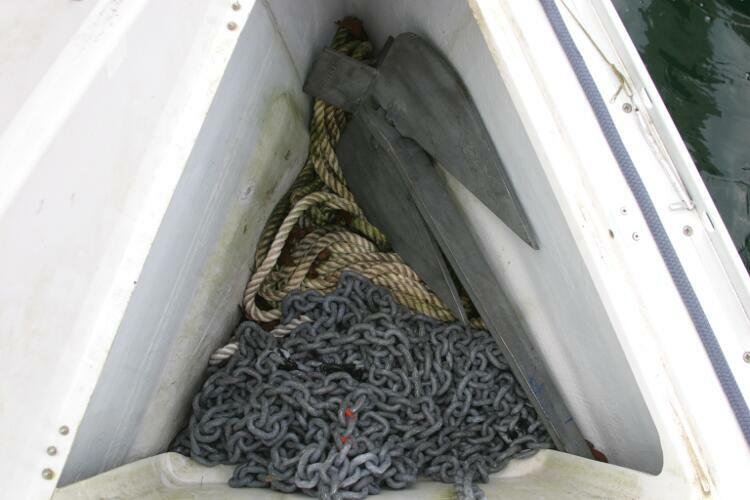 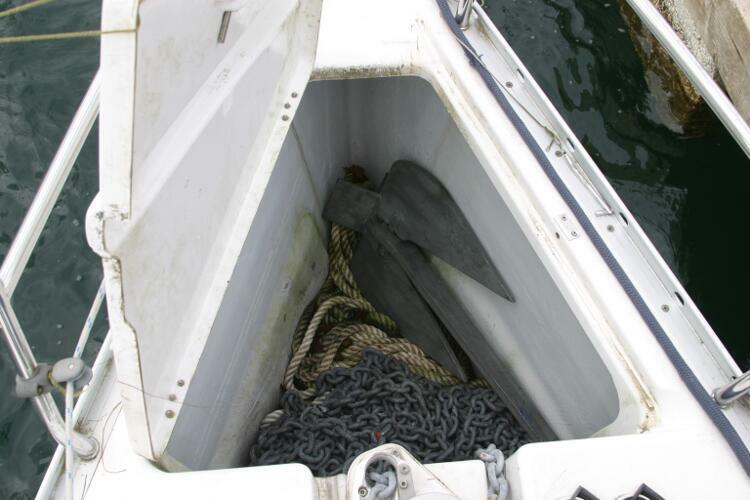 Complete set of original sails in good serviceable condition. 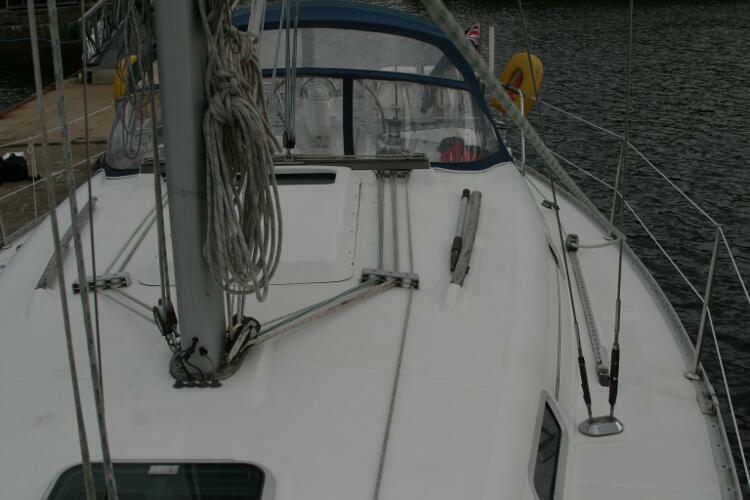 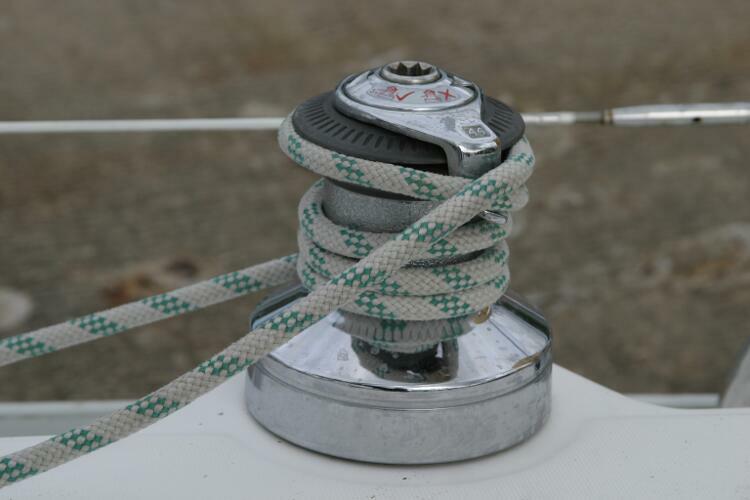 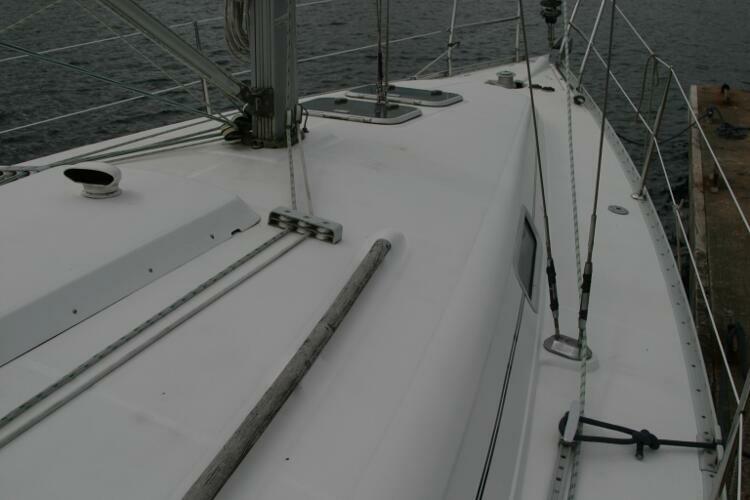 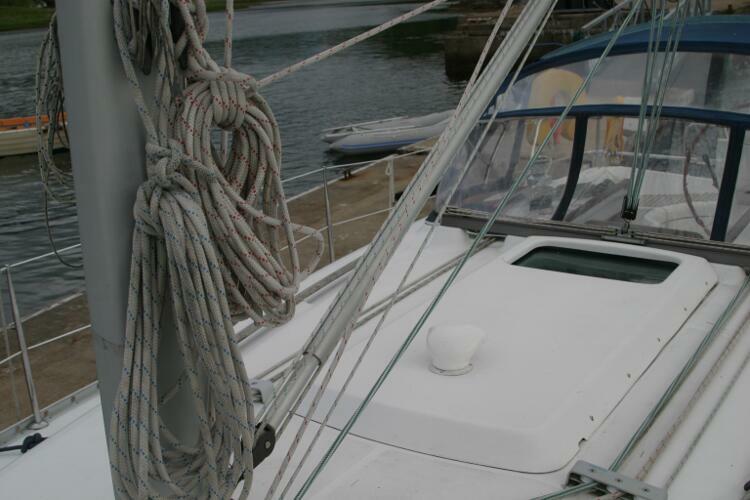 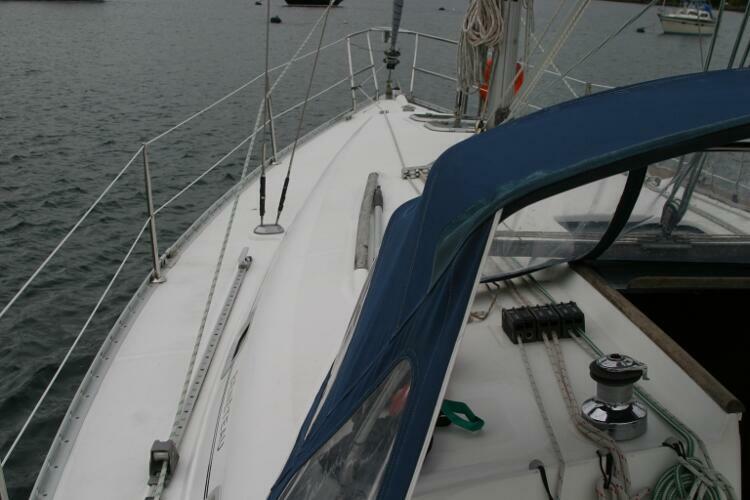 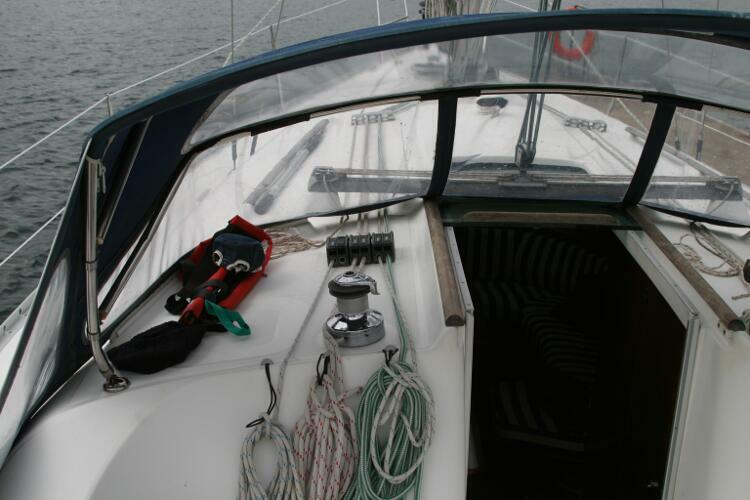 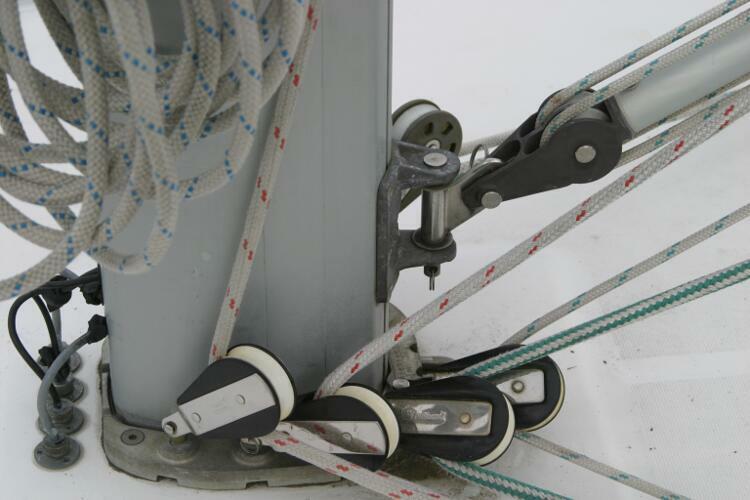 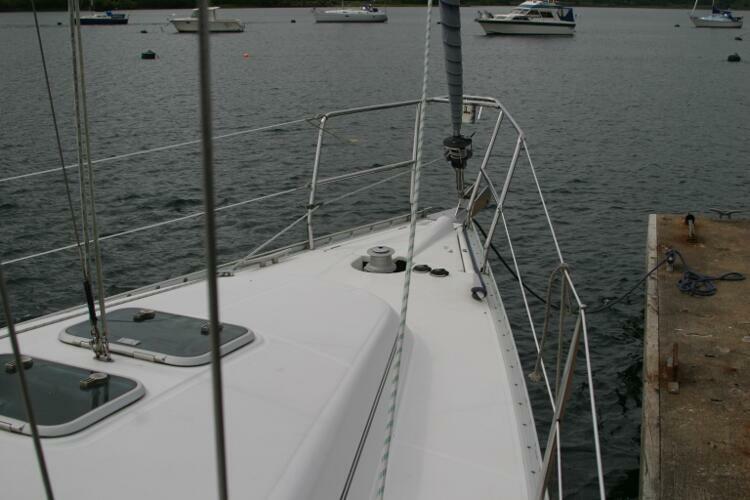 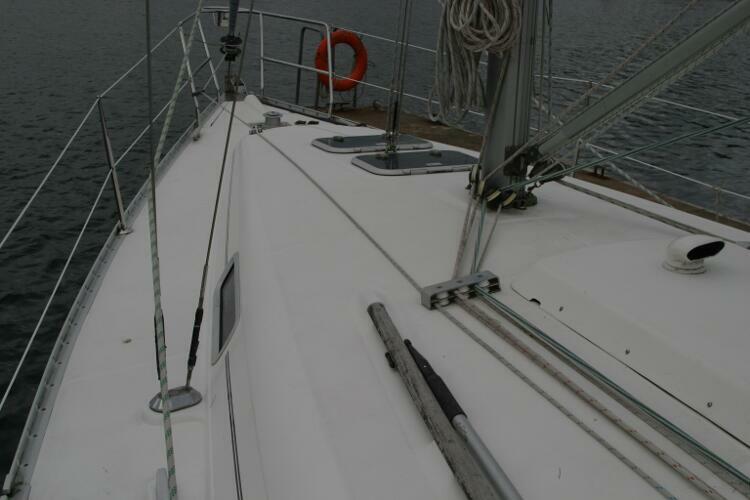 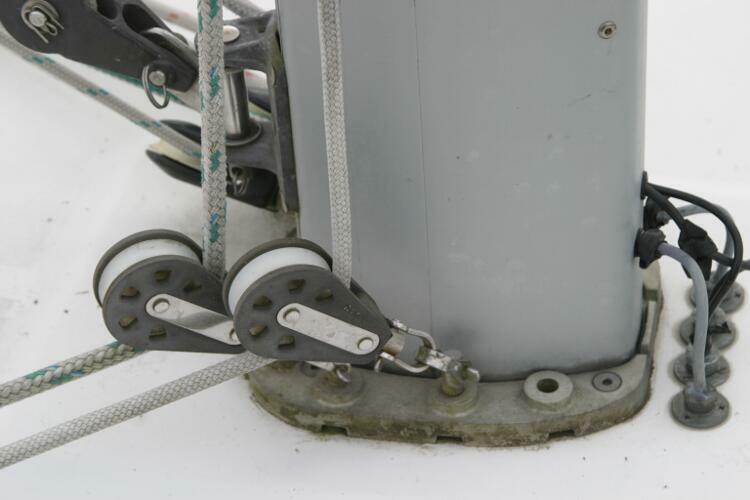 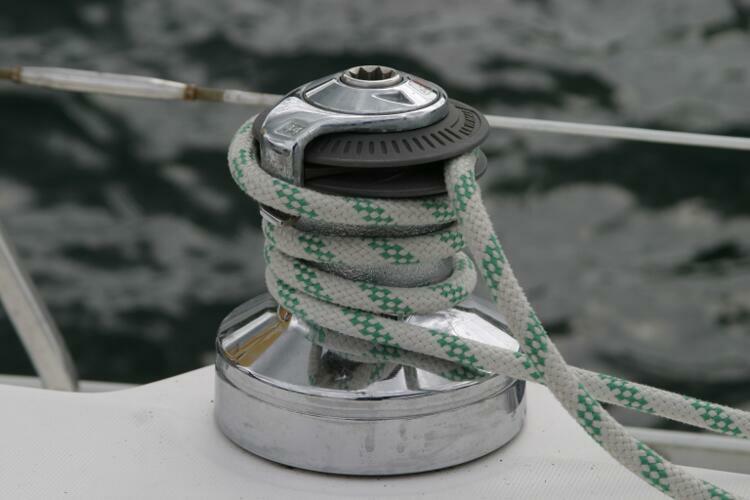 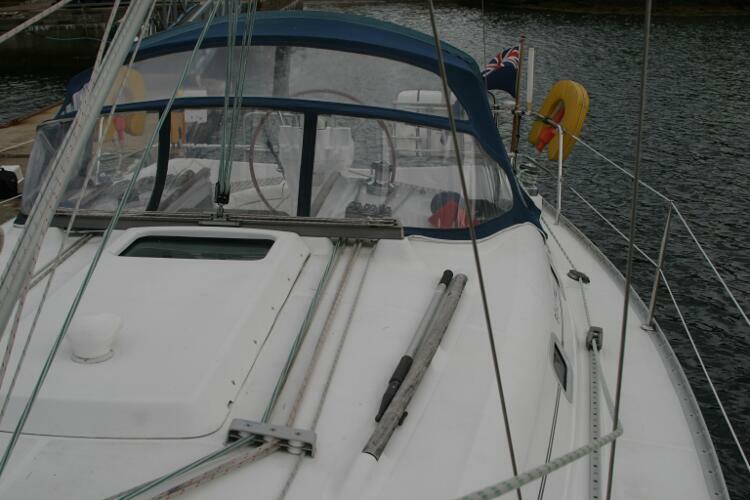 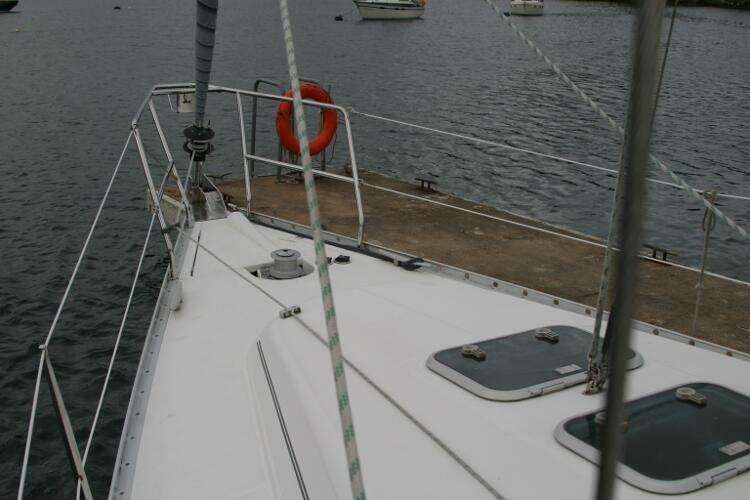 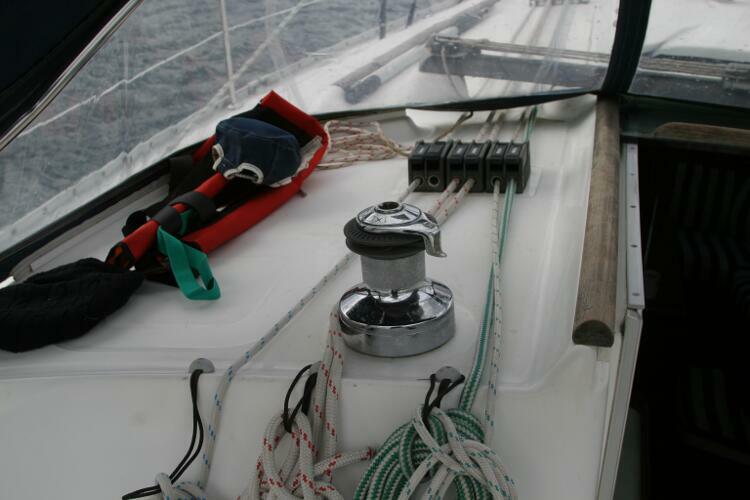 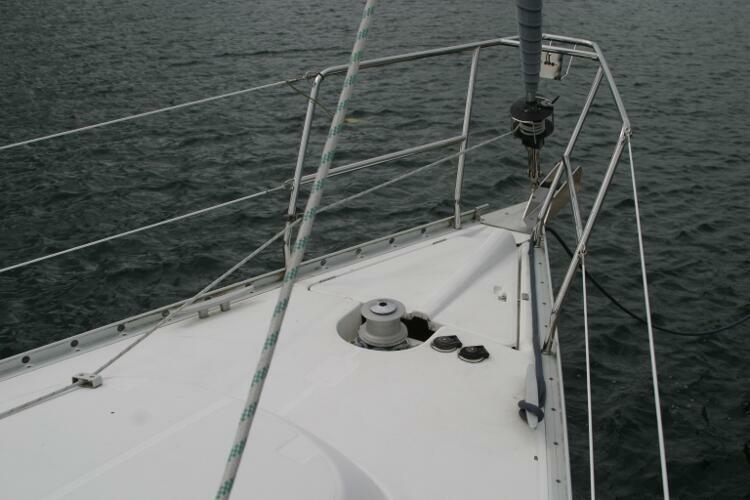 In mast reefing on main and roller reefing on headsail. 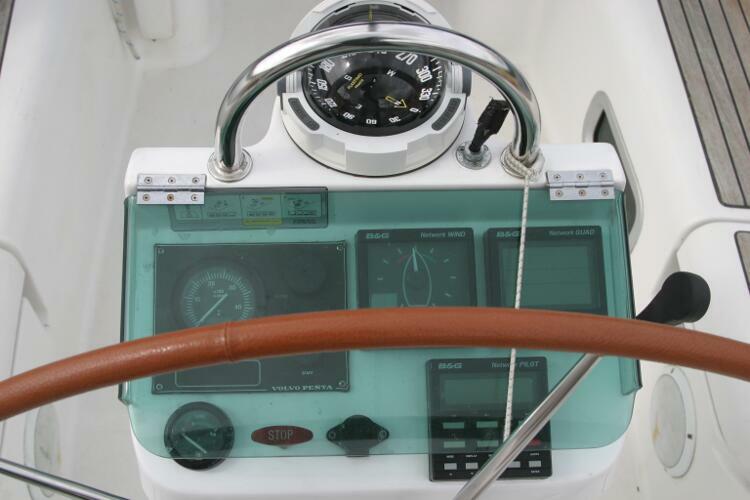 Navman GPS/Plotter, B & G wind/depth/speed. 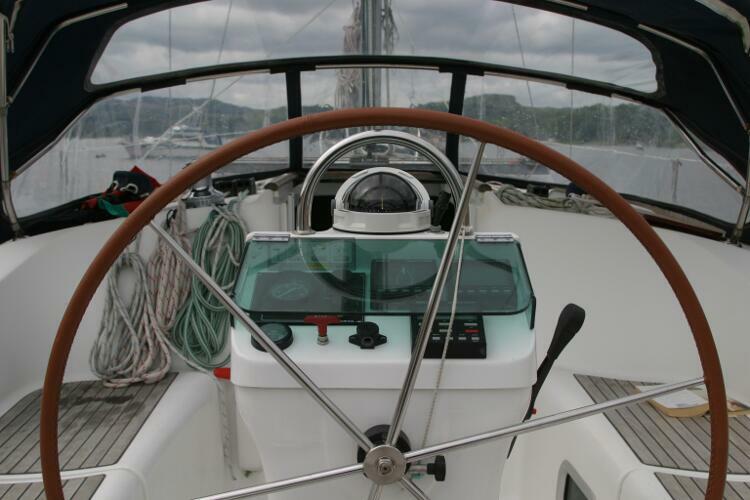 B & G Autopilot. 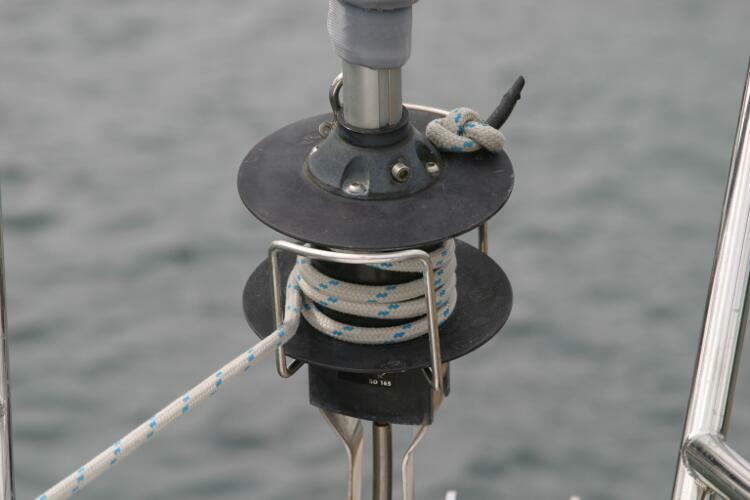 VHF. 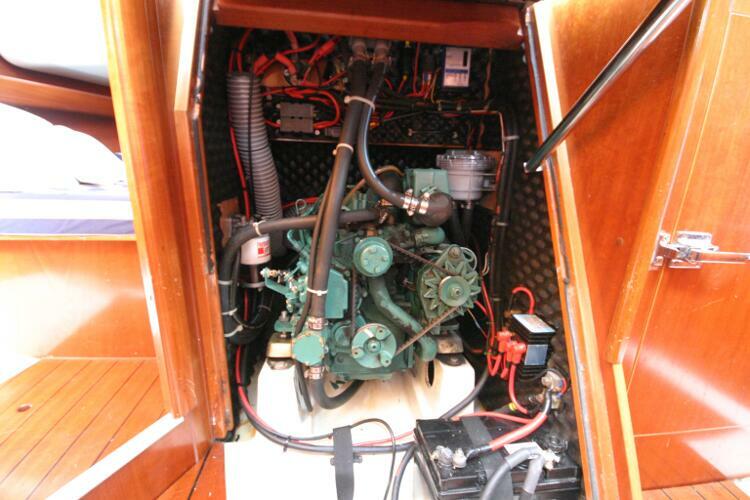 12 volt with Sterling charger. 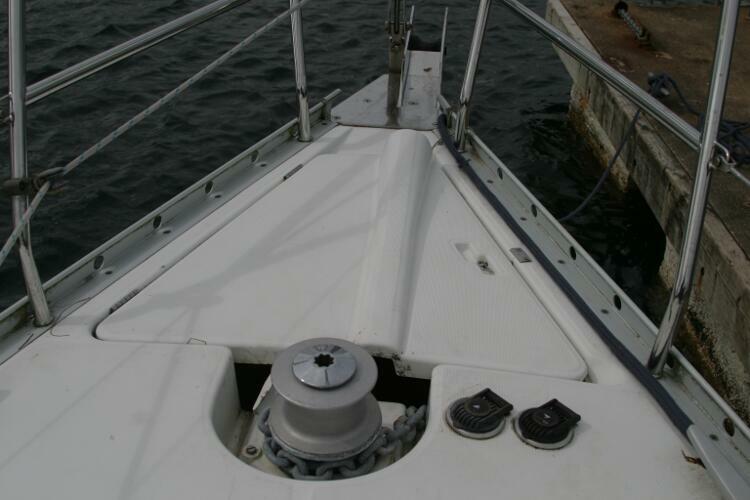 70 AH starter battery. 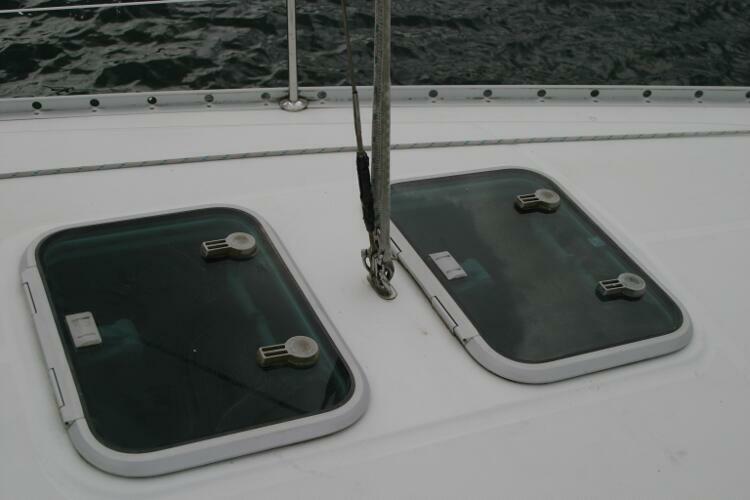 2x120AH domestic batteries. 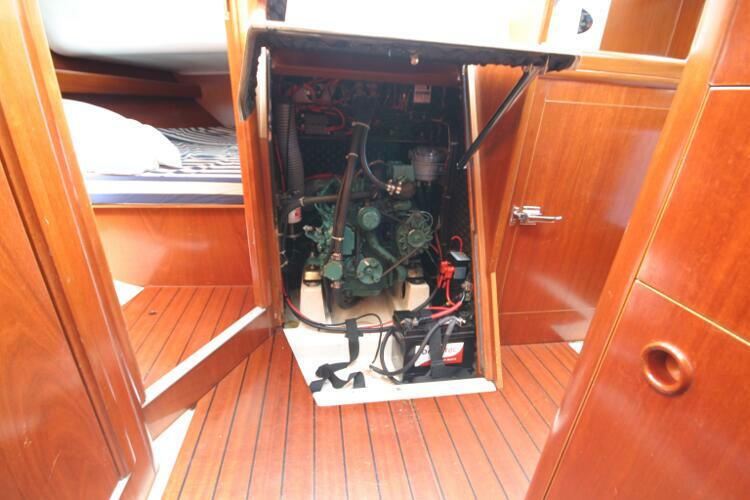 230 volt shore power, inverter. 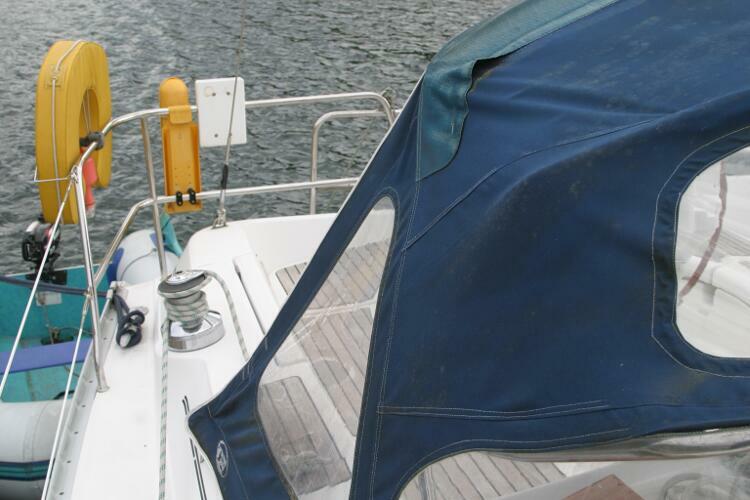 Life raft (out of date). 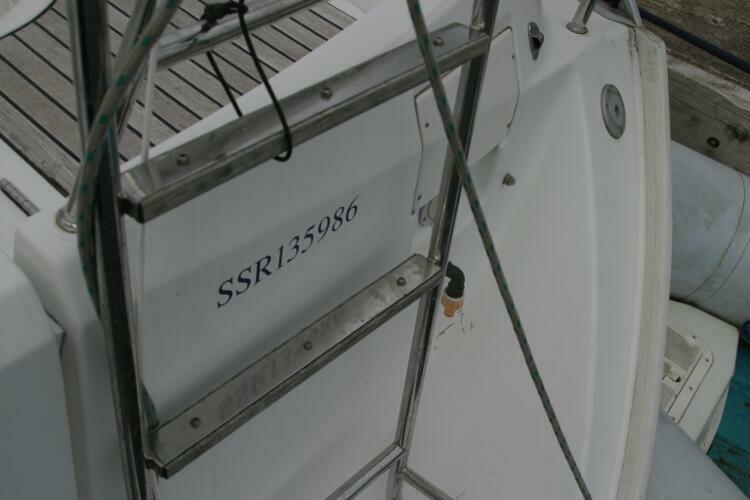 Fire extinguishers. 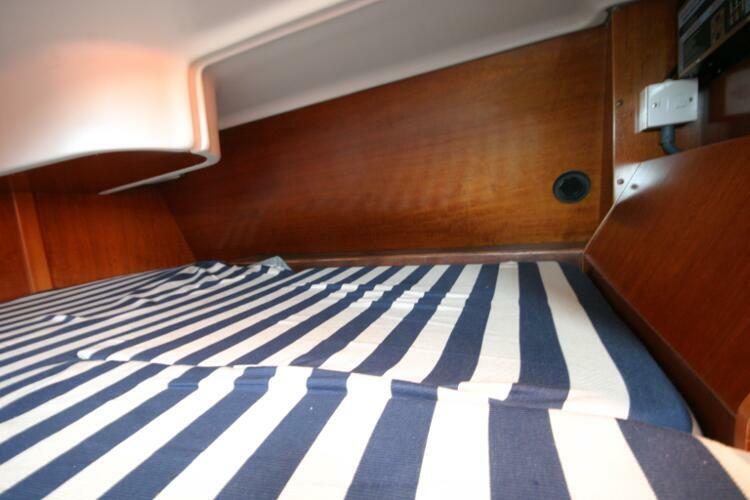 Fire blanket. 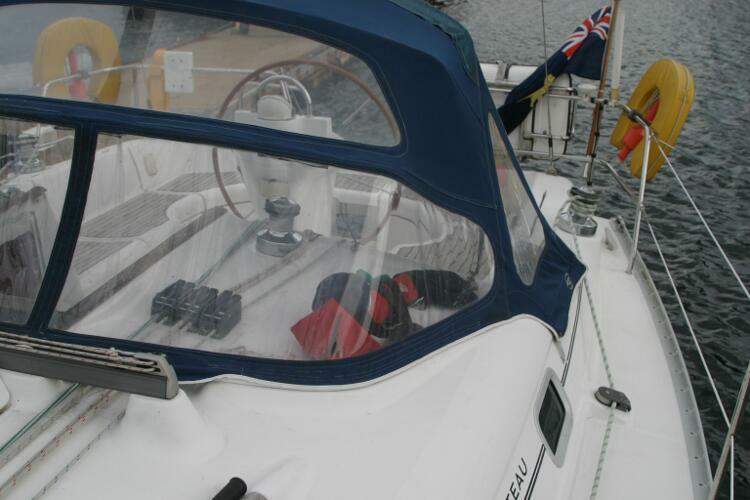 2,2 Suzuki outboard, Zodiac Cadet Dinghy with slatted floor and an Avon 2.9m rib are all available by separate negotiation. 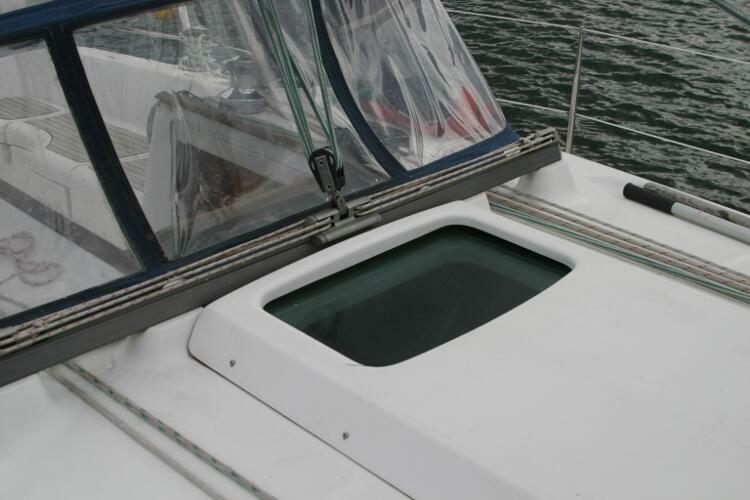 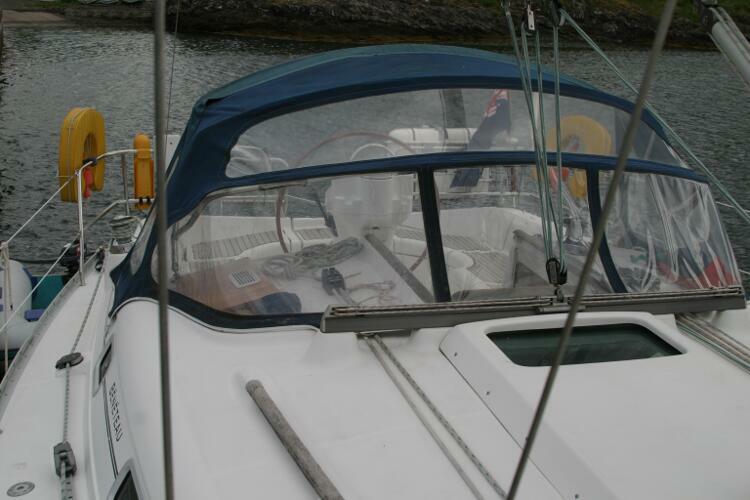 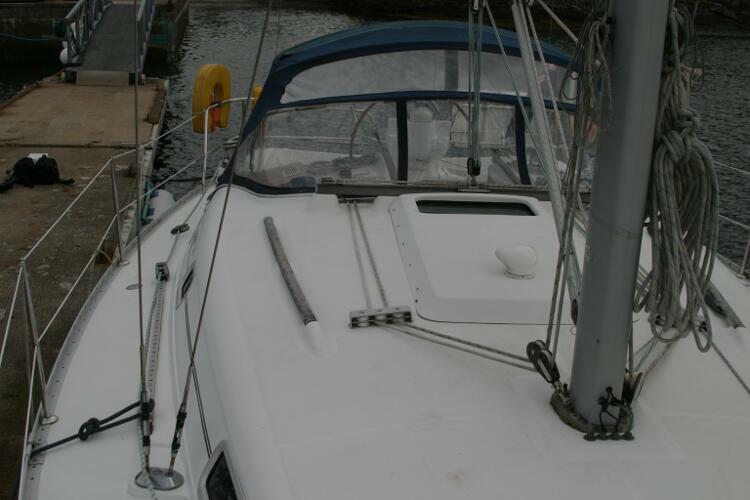 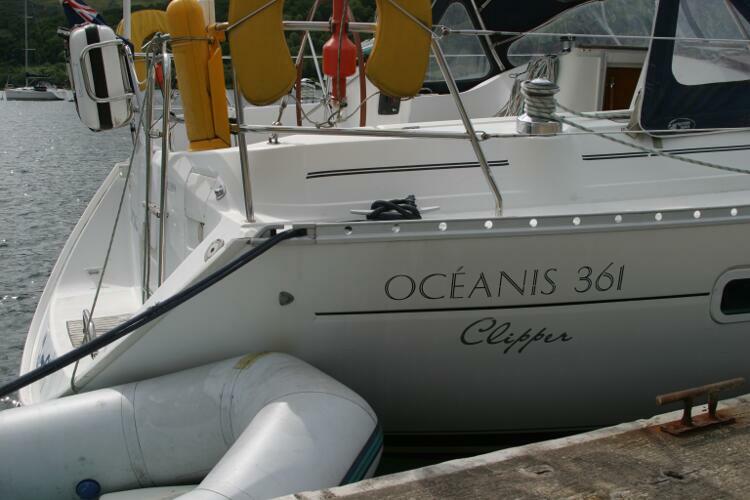 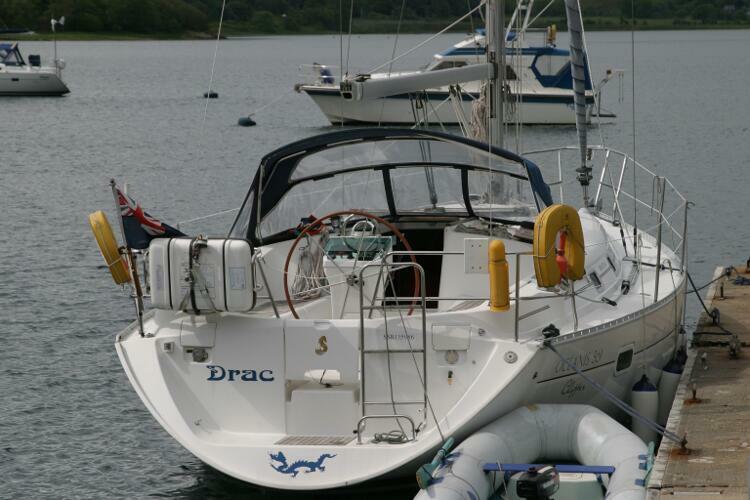 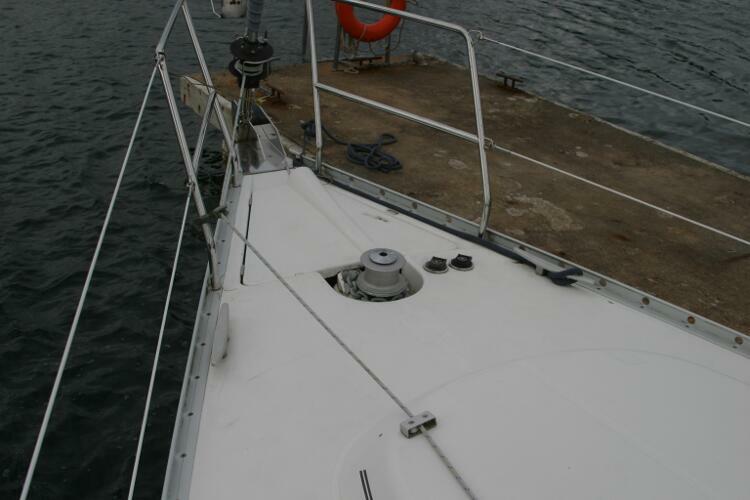 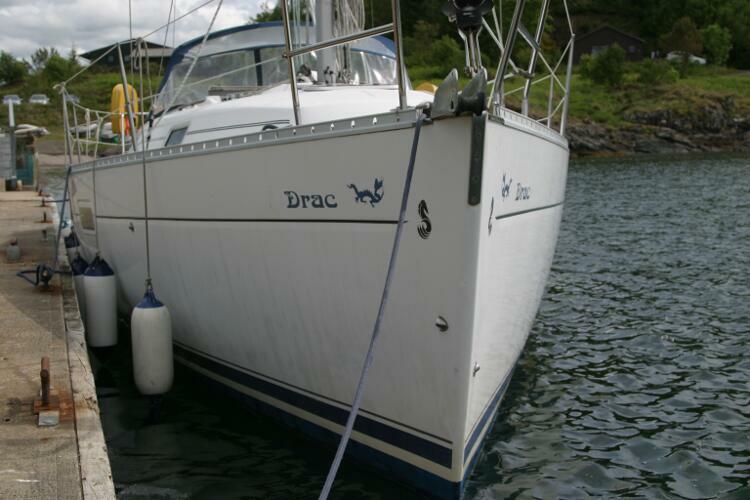 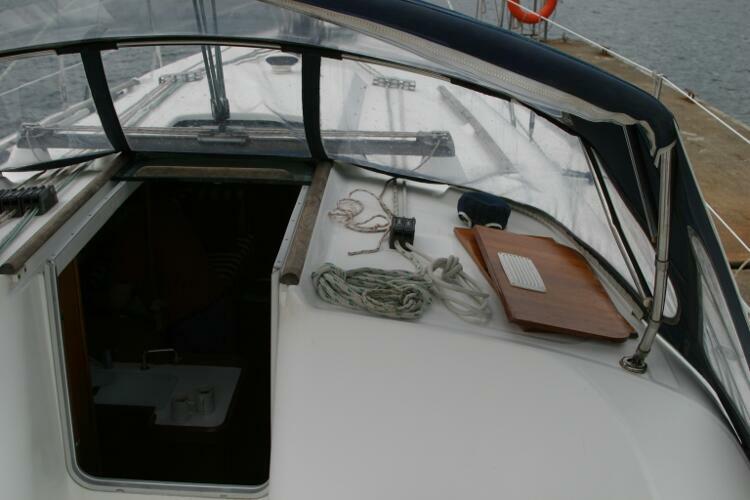 This boat is no longer for sale and remains here solely as an information resource for those researching Beneteau Oceanis 361 Clipper's.